We recently hit daylight savings time and I am mourning the loss of our evening walks. Getting dark at 5 PM is not cool! Fitness is so important to me because it helps me to feel my best. During pregnancy especially, I find that I feel so much better when I am active then when I sit around all day. Living in Michigan, exercise can get a little tricky in the winter. When it is -10 degrees outside, it is not very inviting to go for a walk outside. That is where my tips come in for staying fit in the winter months. I have a bit of a love-hate relationship with my treadmill. It can be boring but during the winter months, it is one of the main things that keep me active. I had my husband build me a simple treadmill desk out of wood and it is awesome for putting my computer on and getting work done. Sometimes, I am able to answer emails while walking and do my social shares for the day. Other times, I just browse Facebook or read other blogs. This helps the time to go by a lot faster and keeps me going longer. I aim for about 2 miles at a time. I have written about it before that I struggle to get myself to do anything besides walking for exercise. In the last month or so, I have been able to really motivate myself to get into better shape for delivery, recovery and then having to take care of a newborn and a toddler. I'm certainly not talking about any kind of weight loss or anything but just getting my muscles nice and strong. I follow pregnancy recommendations such as not laying on your back, no crunches, don't push too hard, etc. I feel amazing when I do these exercises. I aim for twice a week. Yes, it is cold out but that doesn't mean that you cannot go outside. Adalyn loves to walk by our church herself and go say a prayer. We play fun games such as Simon Says and she loves to do a bit of running. That kid keeps me active! I am so much more active this pregnancy just because Adalyn loves to be busy. I feel a lot better too so I have to think that it is related. We put on our winter coats, hats, gloves and extra layers and head out. Just have the tea or hot chocolate waiting for us when we get back in! A great fit is Zumba Front Row which is a website where you can watch and participate in Zumba videos at home. It is a great workout! They have live-streamed monthly classes with celebrity instructions and videos of the basic Zumba steps for beginners. It is easy to do in the comfort of your own home, no matter what the weather looks like that day. Zumba Front Row is part of Uscreen which is a platform with video hosting, a billing system that supports different subscriptions, one time payments and different offers. They have a flat monthly fee which you can use for your business that is affordable. Check out their website for more information. They have other fitness channels as well as other types of subscriptions including programs for kids- Adalyn would enjoy these. So there you have it! 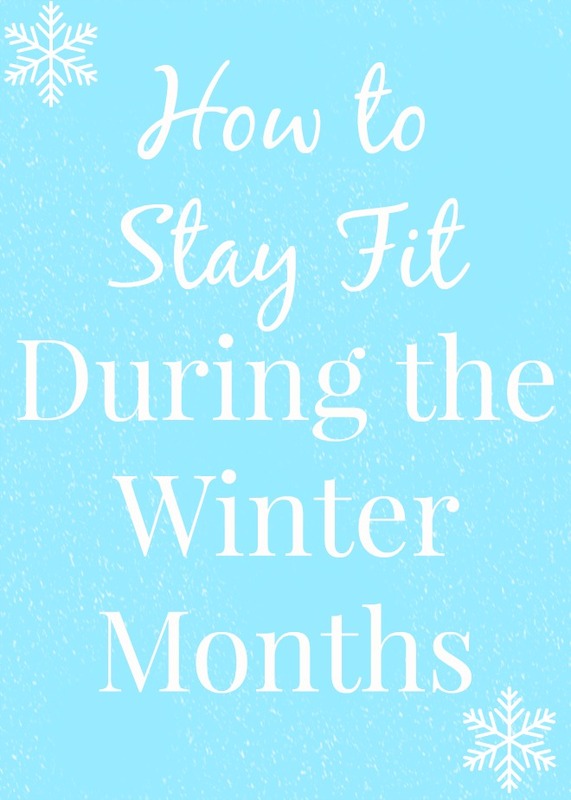 My fitness tips for winter. I'm going to try to exercise through my pregnancy to feel my best! Disclosure: This is a sponsored post by Uscreen. All opinions are my own.